Soldiers films are very famous in Hollywood as well as Bollywood also. The movie stories can be characterized by camaraderie, boldness, friendship, love, heroism and more those movies are representing by the great characters on the movie screen. So many films are released about the Army movies stories and make huge success in the Box office. Here is the list of Top and Best 10 Bollywood movies featuring the Indian Army. Take a look at the list and get the full information about the Army movies. The Major Saan movie is based on Love story and army corruption. The film got huge success in the box office and made good collections. The movie representing the army people life story and conveyed it in a human understandable terms. The film portrays about the terrorism and the violence in the beginning time of Indian Society. The leading character who joined in the Army and turned into habituated soldier after few hrs in Battle field. This Holiday movie is purely a action based movie. The movie story is, An Indian army soldier goes to home town Mumbai in the holidays. After his Duty he thought that Mumbai is not safe and later he want to take care his home town. The movie displayed as original picture of the Mumbai in 21 century. The movie got huge success in the Bollywood and made huge collection. 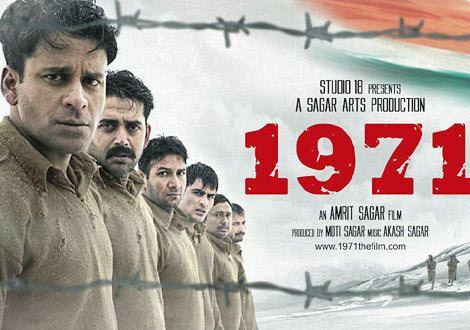 The 1971 Movie is based on 6 Indian soldiers who caught by Pakistan Army in the Indo-Pak battle and they became prisoners in the Pakistan. Their individual journey in the movie makes courage and Heroism. In 2007 season, the 1971 movie got Best film award in the Indian film Awards. The “Indian” movie was complimented by the many critics for there marvelous editing and technical polish of the movie. The film is about the corruption and how it effects the Police force department and how the movie shown that how the Indian government clears the corruption, specifically the Indian army and the police department. The film shown the delicate story on Kashmir dispute. The story is, Kashmir is a area of territory and it is a part of India but this places is mainly Muslim living place and had support to Pakistan. The movie shown many blameless civilians are caught in the war of cross firing, mainly the children. The Maah Tujhe Salaam get much controversial and released at the time of India – Pakistan tensions. But the movie was huge success in the Box office. The movie story is about the Indian Army did the rescue operation with the supporting of the fearless civilians. The Lakshya movie based on the Kargil quarrel between the India and Pakistan countries. The film doesn’t run in the Box office as much because many big movies are opened in the same time. But the director taken the movie with excellent screen play and the acting also marvelous. 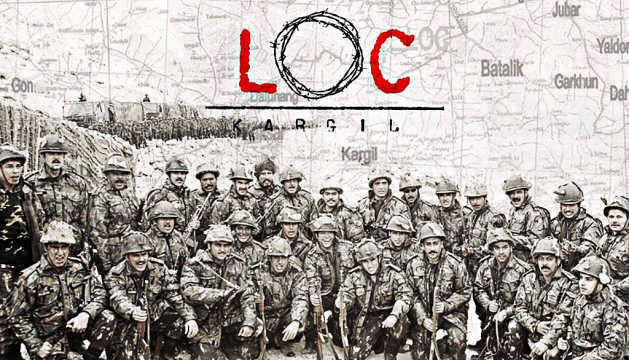 The LOC Kargil movie is based on Conflict between the army in India and Pakistan. In the movie cast is with many famous actors. It is an excellent movie and hit the Box Office with the huge collections. The movie is about the Indian Army history. 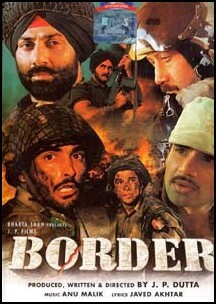 The border movie is based on the Young Indian soldiers. They fought for the India in the war. This is a historical movie and with many action scenes. The movie also got huge success in the Box office and got many collections.